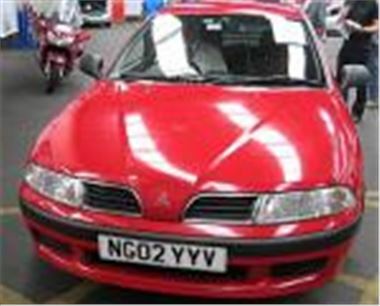 For example, this 89k mile 02 reg Carisma 1.8GDI sold for £2,250. A 123k mile Y reg Mondeo 2.0 Ghia sold for £2,350. And a 91k mile Mondeo 1.8LX sold for just £2,175. Tiny money, even for 3 – 4 year old cars. Yet where demand was strong, or someone really wanted a specific car, bidding battles were quite fierce. A scruffy 37k mile 52 reg Celica sold for £8,100. 29k 03 reg MX5 1.8 with a missing side window seal sold for £8,700. A 29k mile 52 reg Golf TDI PD 130 3-dr sold for a very strong £9,700. (Crazy when a few minutes later a 37k mile 02 reg Golf TDI PD 130 estate sold for £7,000.) And a 59k mile Y reg BMW 530iSE auto with leather and a scraped bumper that I’d have thought value at £9k romped away to sell for £11,100. Notable non-sellers were a 10k mile 54 reg E60 BMW 525i manual with leather on 18” Dunlop runflats bid to a provisional £21,000, a 77k mile 52 reg Lexus LS430 bid to £16,400, a 38k mile 03 reg BMW 525d manual bid to £10,750, a 117k mile Y reg BMW 530dSE auto bid to £7,450 and an 81k mile 51 reg Alfa 1566 2.4JTD bid to £4,200. In the Motability section, a now rare 28k mile 02 reg Yaris Verso sold for £4,600, a 48k mile 02 reg Focus 1.6 Zetec auto estate sold for £5,250, a 10k mile 04 reg Focus 1.6 Zetec estate sold for £7,000, a 6k mile 54 reg C-Max 2.0 TDCI Ghia sold for £10,300, a 14k mile 54 reg C-Max 1.6 TDCI LX sold for £8,850, and a 3k mile 54 reg Renault Modus 1.6 Dynamique auto with a big sunroof sold fort £8,175. There will be a big Ford ex-rental sale open to everyone at Blackbushe next Tuesday 21st June. Entries included 86 Focus, 20 C-Max, 37 Mondeos, 5 Fiestas, 7 Galaxys and 4 Fusions. The Mondeos include a TDCI 130 auto estate and an ST 220.